James R. Zazzali | Professionals | Gibbons P.C. Mr. Zazzali has served as New Jersey’s Attorney General and as an Associate Justice and Chief Justice of the New Jersey Supreme Court. 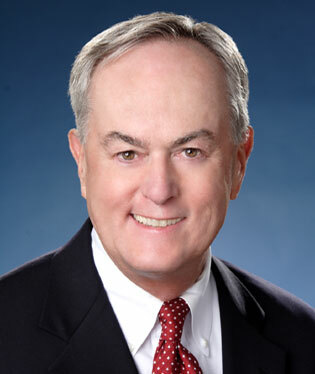 Since returning to private practice, he has been appointed by the state and federal governments, federal and state courts, and litigants as a monitor, receiver, independent counsel, independent investigator, discovery master, and bankruptcy trustee for various institutions and organizations in both the private and public sectors. Mr. Zazzali advises clients on such matters as governance, institutional ethics, internal investigations, and appeals. He also has conducted numerous mediations and arbitrations. He has served as General Counsel for the New Jersey Sports and Exposition Authority; Chairman of the New Jersey State Commission of Investigation (SCI); Chief of the Appeals Division of the Office of the Essex County Prosecutor; and Vice Chair of both the State’s Disciplinary Review Board (attorney ethics) and the Judicial Review Board. The State Department has designated him as a member of United States delegations to various United Nations Conferences in Geneva and Paris. The courts, litigants, and state and federal agencies have designated Mr. Zazzali as the trustee for the Borgata Casino; special discovery master in complex litigations; the receiver for Bloomfield College; Independent Counsel for Stevens Institute of Technology; Independent Trustee for the Trenton Charter School; ethics officer for various organizations; and the monitor for jails in Bergen, Essex, and Monmouth Counties, as well as in Newark. For 15 years, Mr. Zazzali served as an adjunct professor at Seton Hall University School of Law, where he taught alternative dispute resolution, mediation, and arbitration. While in private practice from 1970 to 2000, he represented participants in hundreds of arbitrations. After leaving the public sector in 2007, he has been a mediator or arbitrator in contractual, probate, commercial, corporate, employment, environmental, construction, and lawyer and medical partnership matters. In 2015, in a publication entitled “The Best of 2015,” the New Jersey Law Journal ranked Mr. Zazzali as “Best Individual Arbitrator” and as third “Best Individual Mediator” along with two other mediators. Mr. Zazzali’s extensive public service has included serving as the Attorney General of the State of New Jersey and as Chief Justice of the New Jersey Supreme Court.